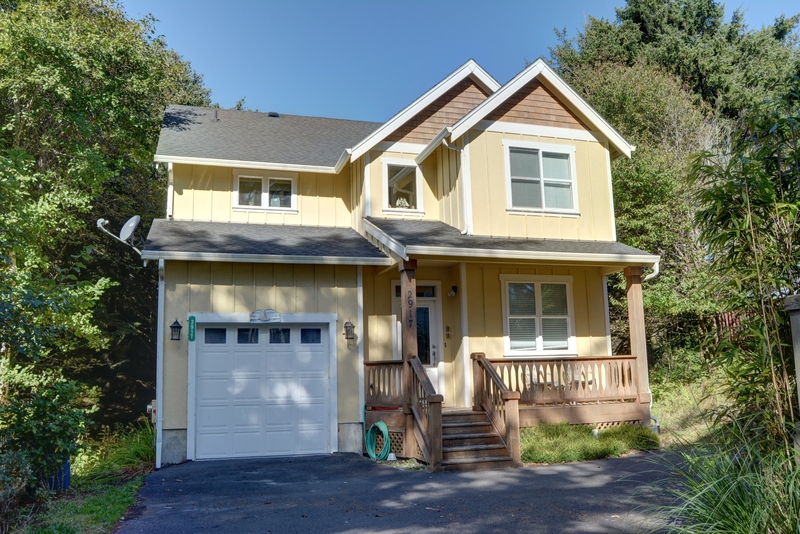 Sea Quest is a newly constructed two story home located within walking distance of public beach access adjacent to the Olivia Beach neighborhood in SW Lincoln City. 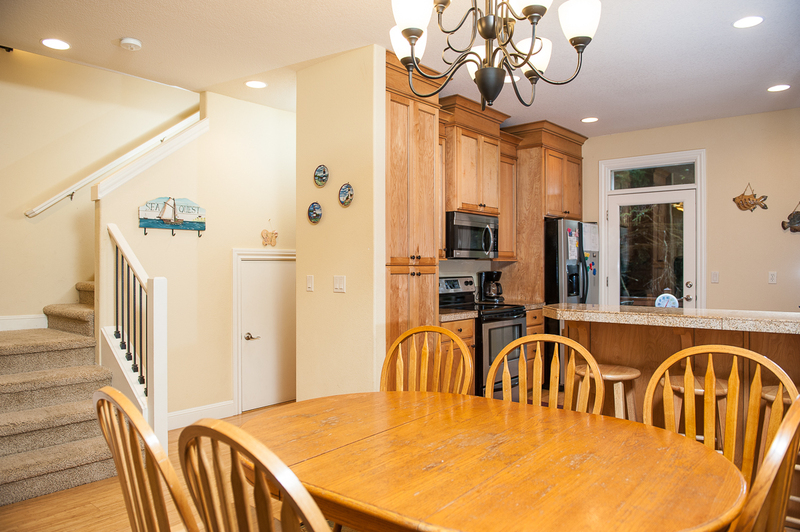 With four bedrooms and two and a half baths, this vacation home will comfortably sleep up to ten guests. 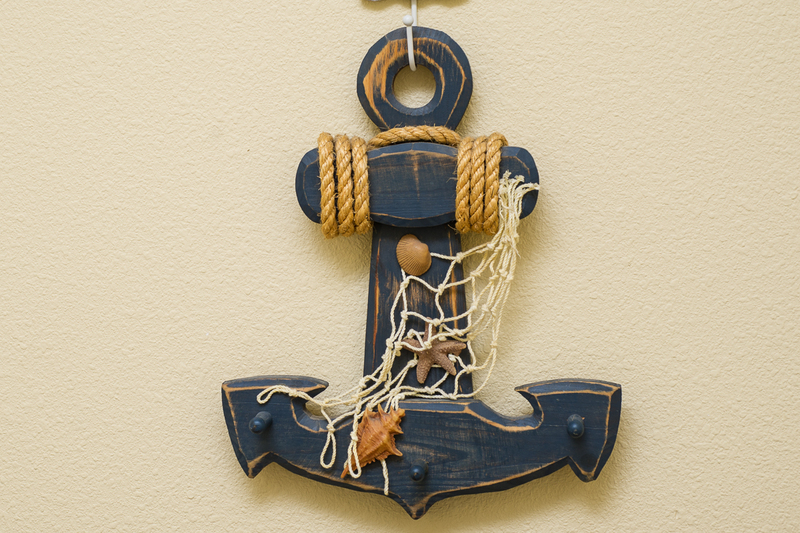 This beautiful home is full of seashells, fish, and other nautical decorations in a pleasing blue and white color scheme. 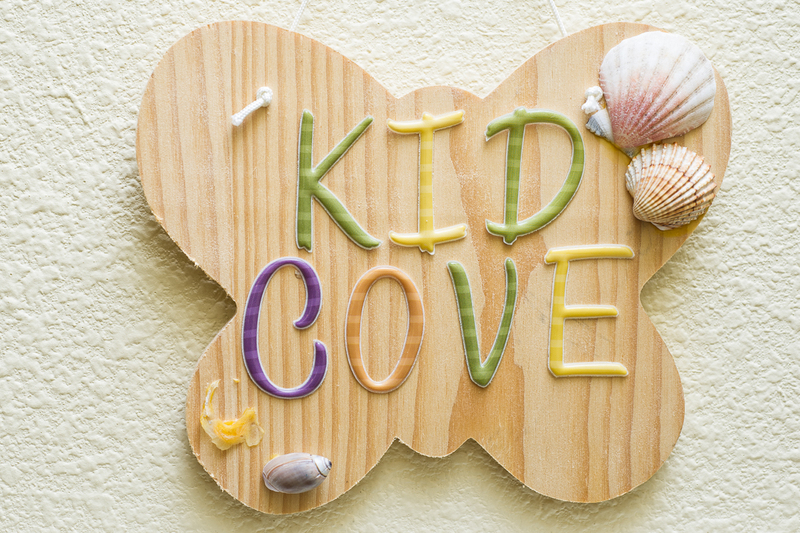 It even has a "kid cove" where only kids are allowed to hang out and have fun while the parents relax and unwind. 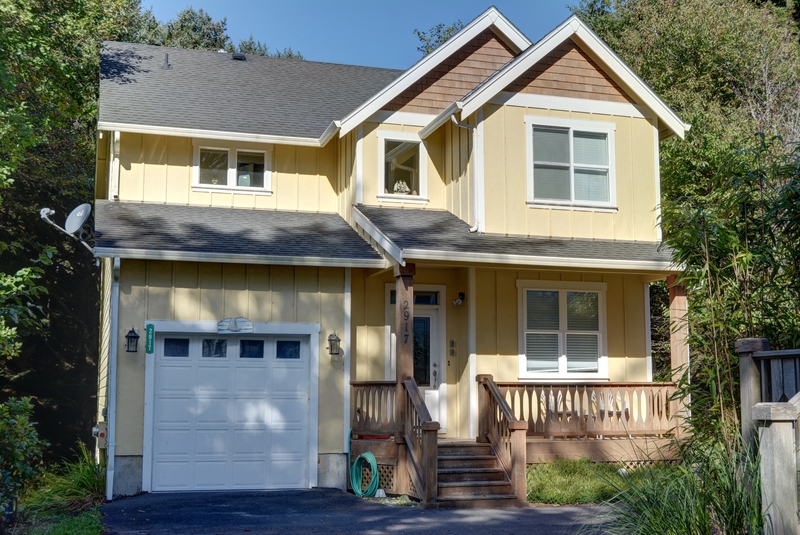 With a separate family room and garage, this home has plenty of space for everyone. 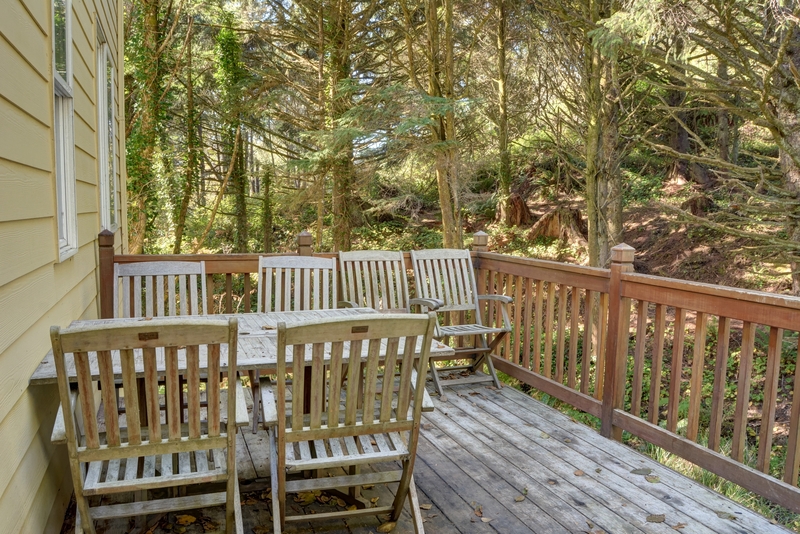 The front porch seating area is comfortable and inviting on those warm and sunny Oregon coast days. 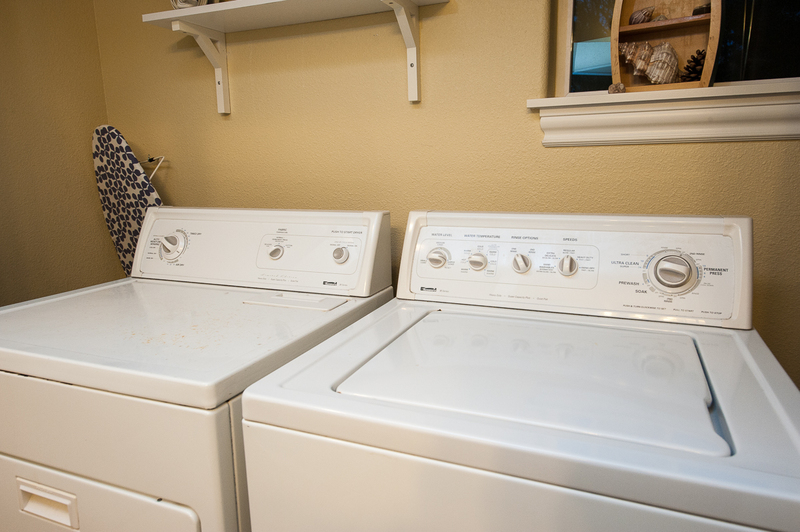 A washer and dryer are available for guest use at this home if you'd like to wash the swimsuits or do your laundry before heading home. 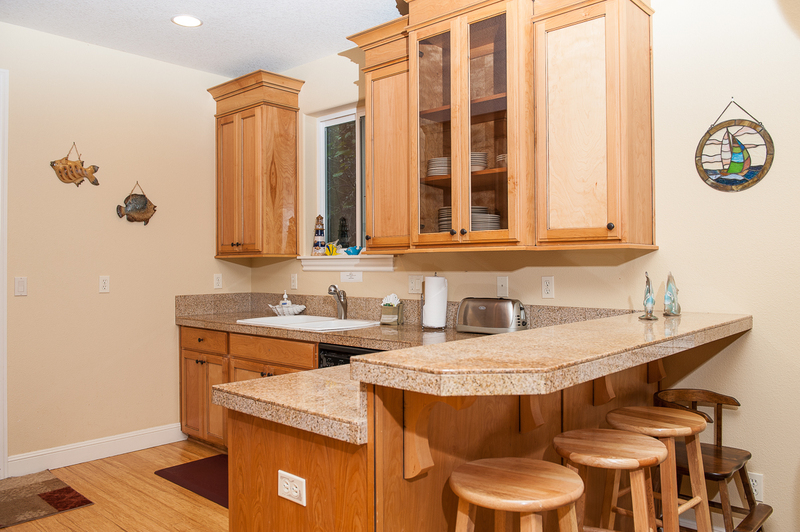 The spacious kitchen comes with everything you need to cook up a favorite family meal, and extra seating is available at the counter with bar stool chairs. Come down to Lincoln City today, and soak up some sun by the sea! 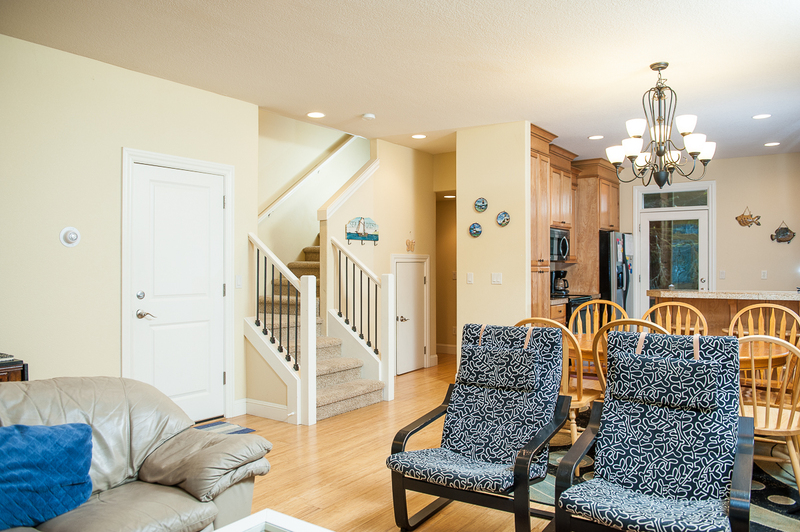 Beach access: walking distance from the home 2-1/2 blocks with a ramp to the sand. Parking is available for up to three vehicles at this home. Please note that boats, trailers, and RVs are unfortunately not permitted. This home allows you to bring up to two dogs while vacationing here. Please do not leave dogs unattended at any time in or on the property. Beach access with a ramp can be found two and a half blocks away from this home. "This house is beautiful. We were so impressed with the space and furnishings. 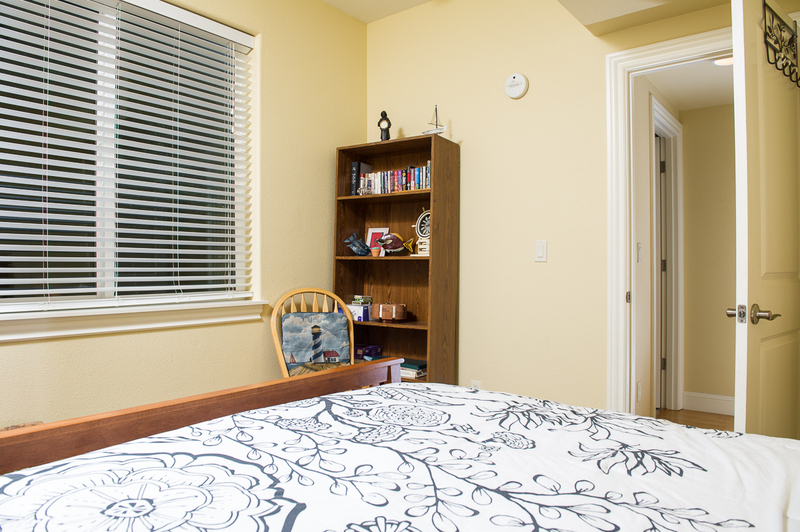 There were 4 bedrooms with beds, and a nook that counted as a fifth bedroom with a futon that had an extra mattress. There were 2.5 bathrooms that easily accommodated all 10 of us. The kitchen was large and beautiful. I enjoyed sitting by the fireplace in the living room talking with friends. When we went for a walk, we discovered that we were a very short distance from the beach and were able to walk along the beach with enough energy to make it back to the house. Beach access was not included in the listing, so that was a very pleasant surprise. I recommend this house for large parties or families that want lots of room to spread out close to the beach. " "Hello Judith, Thank you for your review. We are glad to see that you enjoyed your stay at Sea Quest and had a few surprises like finding out you had beach access. We hope this means we'll see you back again soon on the Oregon coast for another wonderful getaway! Thank you again for your review." "Our family vacation was wonderful !!! Everyone had a fun & relaxing time. The weather was great !!! The beach house had everything we needed. 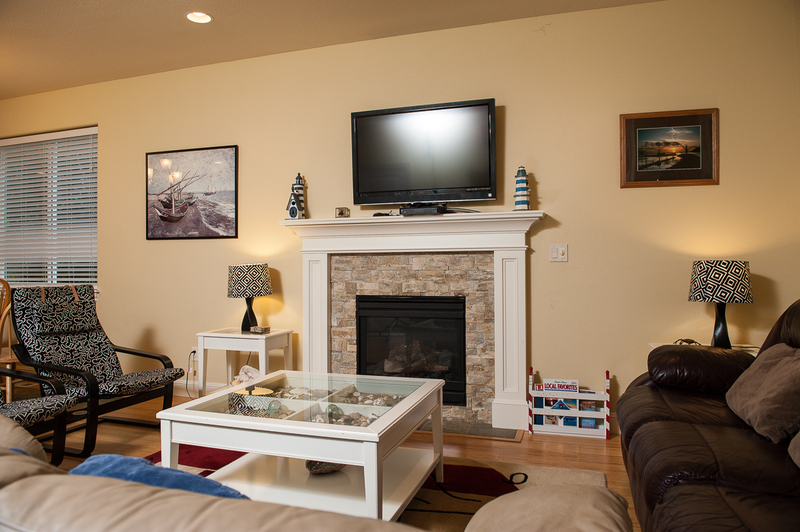 The beach house was very comfortable & accommodated our every need. Just wanted to let someone know the handle on the upstairs master bedrooms bathroom falls off & also in the living room dark sofa has a ripe on the cushion & underneath the arm rest. The beach access was just a short walk away. Thankyou very much." "Hello Vicki, Thank you for your review. 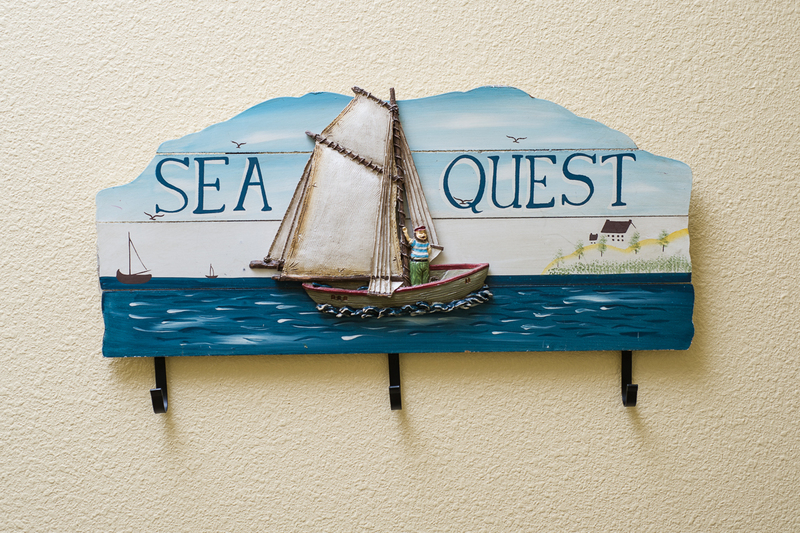 We are glad to see that you had a wonderful stay at Sea Quest! Thank you for bringing these issues to our attention. We will have them fixed as soon as possible. We hope to have you stay with us again soon in the near future! Thank you again for your review." 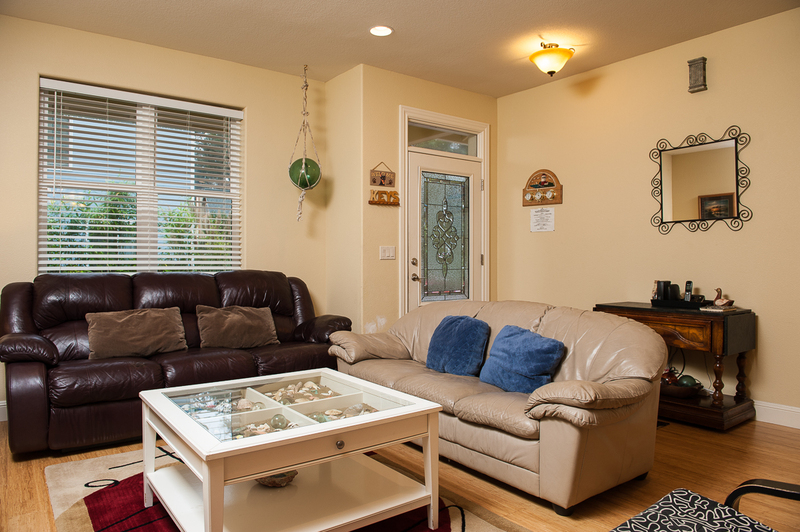 "Really enjoyed staying here and would definitely rent it again. Also we had left a watch behind, called the rental company about it. They were able to find it and I was able to pick it up and also had the option of it being sent to me. " "Roxanna, Thank you for taking the time to send in your review of your visit to Sea Quest. We are happy to know you enjoyed staying in this home. As well, we are pleased to know we were able to locate your watch left behind. Again, Roxanna thank you and for your next coastal getaway we hope to be able to assist in finding yet another great coastal getaway or possibly Sea Quest once again." "Very nice would use again"
"Hello Mary, Thank you for your review. We are glad to see that you had a good stay at Sea Quest! We hope to host you again soon on the Oregon coast." "We really liked this house and will stay here again. The pros were that there are a lot of bedrooms and bathrooms. It is in a great area and was newer./very cozy. Loved the fireplace. 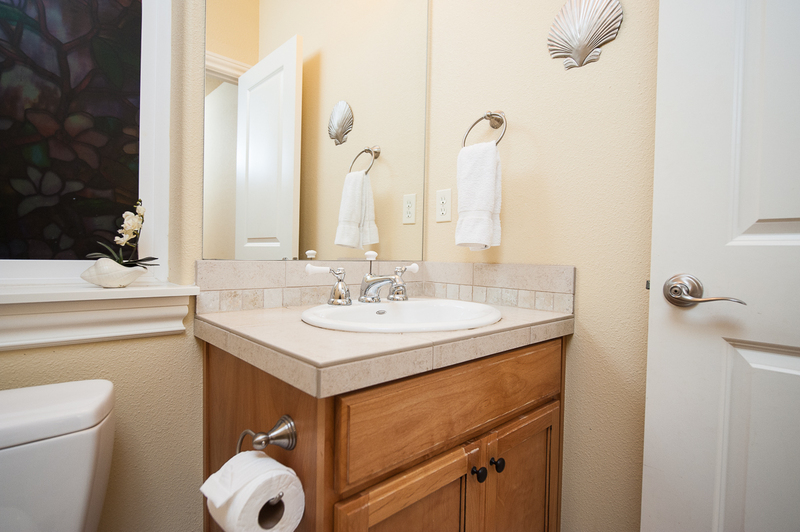 The cons were that the sink in the upstairs bathroom was plugged upon arrival so we had to get draino, the door handle on upstairs master bathroom fell off when you tried to open it (we repaired it also), and the towel rack in that bathroom fell off from just having two towels on it. We found a broken chair on the ground outside, their was a pan sitting out on the deck collecting gunk and the BBQ hadn't been covered and utensils were rusted. Having said all that, Oregon Beach Vacations was very attentive when I called them to let them know about those minor things so that they could get them fixed and I am sure they will have them taken care of right away. Suggested improvements: a Dvd player for the living room so we could watch movies we brought from home. " "Hello Mindy, Thank you for your review. We are glad to see that you enjoyed your stay at Sea Quest. We are sorry to hear that you encountered a few issues while there on your stay, but we are glad to hear that our office staff was able to quickly resolve a lot of the issues for you. 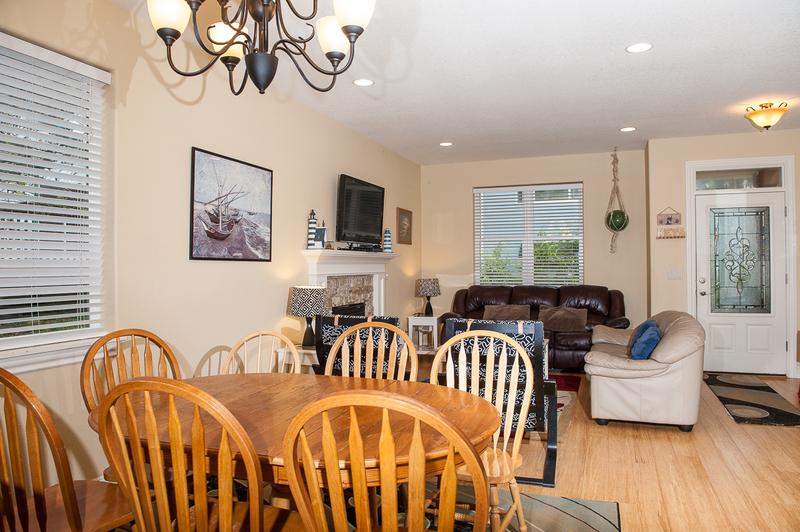 We hope to have you come out again soon to the Oregon coast for another wonderful stay. Thank you again for your review." 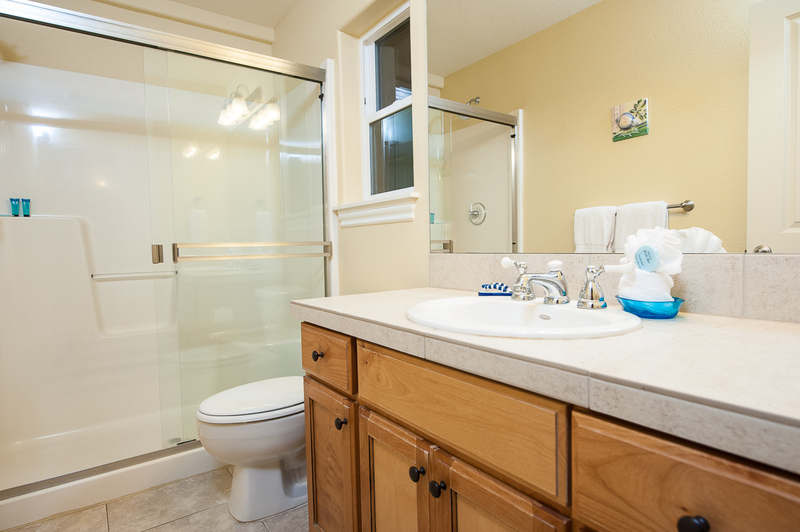 "Overall the house was very satisfactory and comfortable. The bed in the master could use an upgrade but didn't loose any sleep over it. The fact that the house is set behind another house down a narrow drive with limited parking was a bit of a surprise, but again not a huge deal. I would definitely consider renting again and recommending to someone looking. " "Hello Matthew, Thank you for your review. We are glad to see that you enjoyed your stay at Sea Quest! 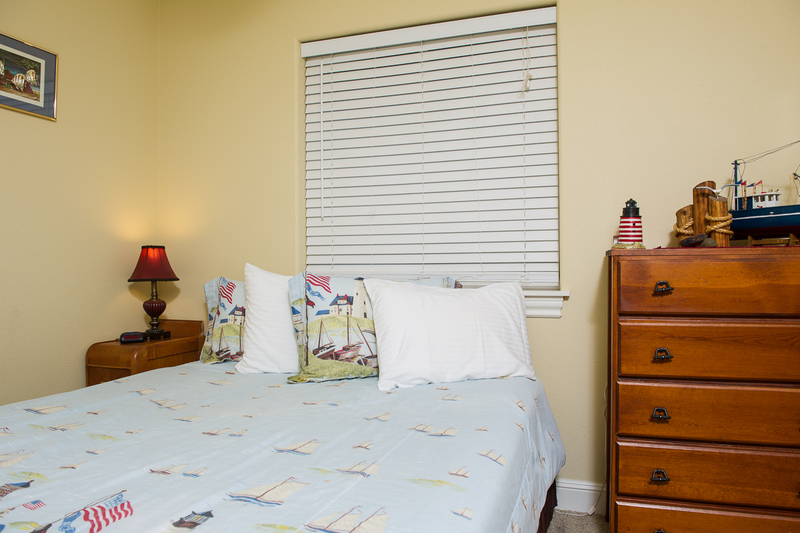 We hope to have you stay with us again in the near future, either back at Sea Quest or another one of our many rentals! Thank you again for your review." "Hello Brett, Thank you for your review. We are glad to see that you had a wonderful stay at Sea Quest! We hope to have you stay again soon!" "Overall we enjoyed the facility. It was clean and there was plenty of room for our family. We loved the surroundings.There was beach access but for senior people such as ourselves the 101 stairs was a real challenge. My husband only made it twice and had to have help. It might be good to let prospective renters know that. I do want to comment on some carpet stains. As renters could bring pets we wondered if they might be pet stains from previous renters. Not a nice thought." "Hello Ann, Thank you for your review. We are glad to hear that you enjoyed your stay at Sea Quest. We are sorry to hear that some of your party had trouble with the stairs leading to the beach. As for the stains on the carpet, this unit will be deep cleaned at some point this fall. Most stains are from renters wearing their shoes in the unit after being outside. Thank you again for your review, and we hope to have you stay with us again soon on the Oregon coast." "We had a wonderful time on vacation and the house was wonderful.. the kids had a great time exploring in the yard and spending time together . Kitchen was fully equipped with all the essentials that were need for a few meals we made at the house.. property was well kept and plenty of space for our needs"
"Hello Daniel, Thank you for your review. We are glad to see that you and your family had a wonderful visit at Sea Quest! We hope to see you all back again soon for a relaxing getaway on the Oregon coast. Thank you again for your review." 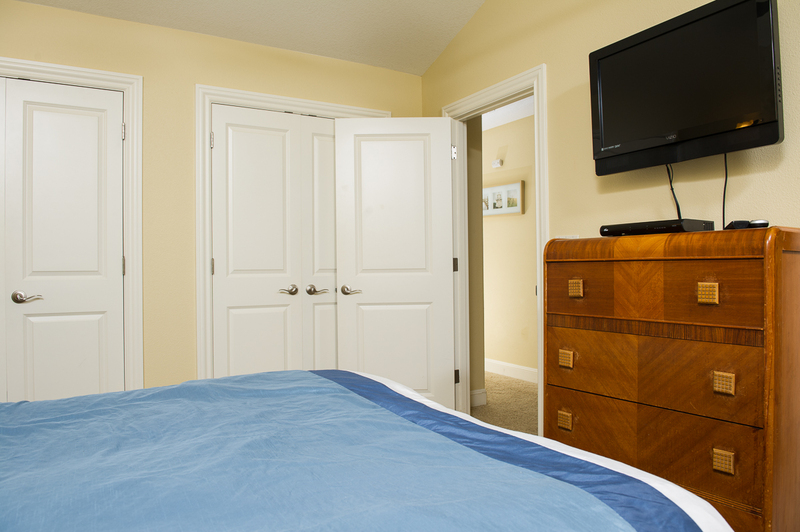 "it was a very nice staying at this beach house, we have stayed there 3 times and have enjoy every minute of the stay. the only problem was that there was no place for the garbages, Garbage can was full when we got there and we had to leave the garbage bag in the can inside the house. other than that it was great. " "Hello Maria, Thank you for your review. We are glad to hear that you had a good time while staying at Sea Quest. We certainly hope that there will be a fourth time! We are sorry to hear that the garbage can was full when you arrived. We strive to make sure that everything is ready and available for our guests, but sometimes we miss things. We hope that this doesn't deter you from staying with us again! Thank you again for your review, and we hope to see you again soon on the Oregon coast!" "Enjoy the peace and quiet and relaxation, plus close to best fish and chip "
"Maria, Thank you for sending in your review. We are pleased to hear you enjoyed your visit to Sea Quest and most importantly that you were able to relax and enjoy your time at the coast. Sounds like you found the perfect eatery for fish and chips which is always a must when at the coast. We hope to hear back for helping you plan your next coastal getaway. Again, Maria thank you! " "We enjoyed our stay at the Sea Quest house"
"Hello Ronald, Thank you for your review. We are glad you and your family enjoyed your stay at Sea Quest and we hope to see you back again soon! Thank you again for your review!" Excellent other then the beds! "Everything was clean and nice! But there was no king bed like the description states and and they were all older, super springy mattresses but otherwise a great house for the money." "Hello Aaron, Thank you for your review. We are glad to see that you enjoyed your overall stay at Sea Quest! After looking at the description, we can find no mention of the size of the beds in this home, but we are sorry for the inconvenience. Thank you again for your review, and we hope to have you stay with us again soon in the near future!" 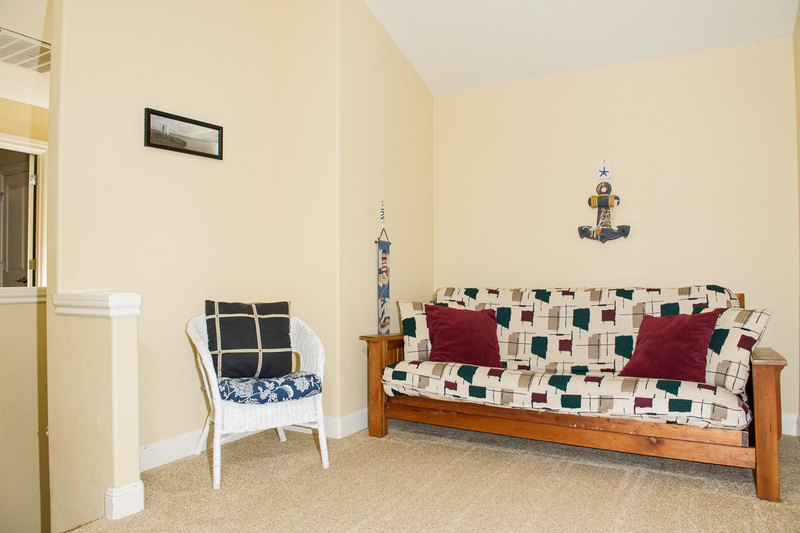 "Great location in a quiet neighborhood of Lincoln city - easy walk to the beach and to a great mexican restaurant on 101. Loved the secluded location. Plenty of hot water for our group to shower, etc. No complaints. Price was fair." 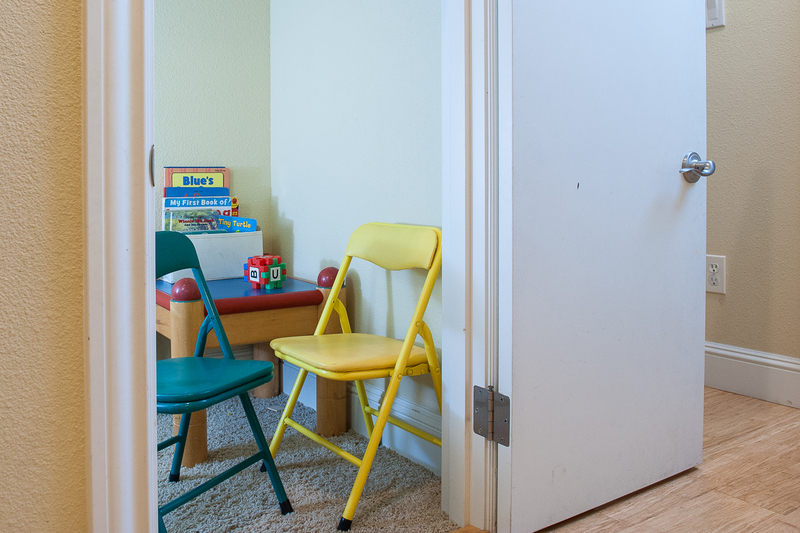 "This house worked out perfect for 9 people and it was awesome for our 2 little ones as they had their own area. Each of the couples had their own bedroom and each family had their own bathroom. It was in a great location feeling like it was in the middle of town and everything. The kitchen was nice and spacious. The cable in the master bedroom wouldn't work but it did in the living room. The hardwood floors did feel pretty grimy by the end of the week and the chairs that are in the living room weren't comfortable. You have to explore for beach access, probably a ten minute walk from the home but anyone that doesn't get around well, the access is definitely not ideal." "Hello Lindsey, Thank you for your review. We are glad to see that you enjoyed your stay at Sea Quest! We hope that you were able to contact our office staff about any issues you experienced during your stay. We hope to see you and your family back again soon for another wonderful beach getaway! Thank you again for your review." "My family and I stayed over Thanksgiving this year. We really liked the location--very quiet and an easy walk to the beach. We had everything we needed and the house was super comfortable for the six of us and our dog! Would definitely stay here again." "Hello Barbara, Thank you for your review. We are glad to hear that you enjoyed your stay at Sea Quest. 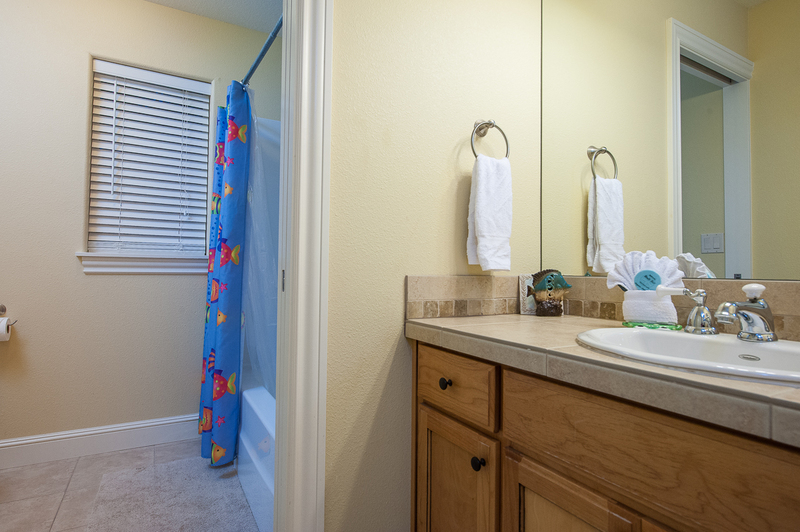 We are happy to know that the home was everything you needed to have a great and relaxing stay with your family. We look forward to hosting you again on the Oregon coast." "We had six people stay at the Sea Quest in March. The house had a great layout with plenty of space for everyone. 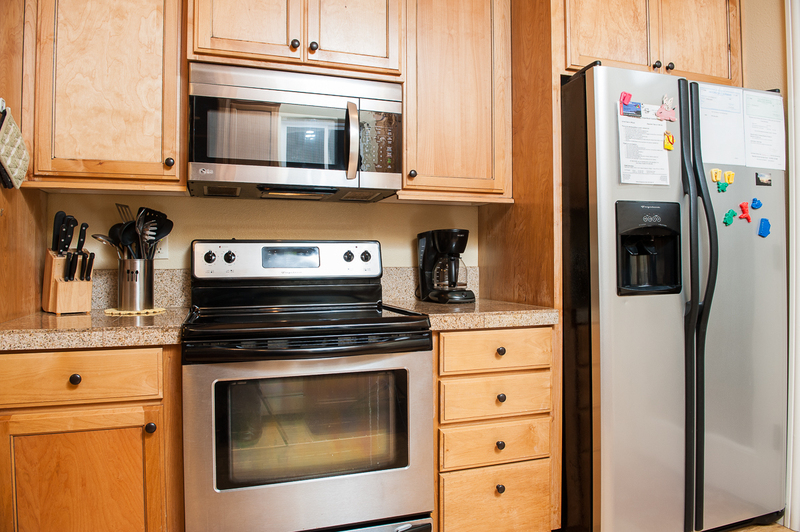 The kitchen was well equipped and it was handy to have the washer and dryer. 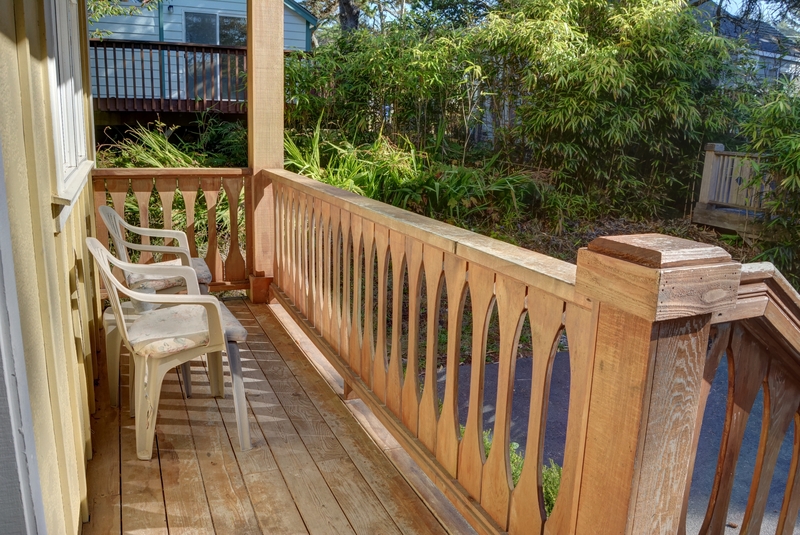 The house is just a short walk to the beach and has a nice deck on the back. There is no dvd player and some of the furnishings are a little worn, but not terrible. Be sure to check out the Drift Creek Falls hike and the suspension bridge. If you're there in the spring, watch for whales -- we saw several. " "Hello Amanda, Thank you for your review. We are glad to see that you enjoyed your stay at Sea Quest. 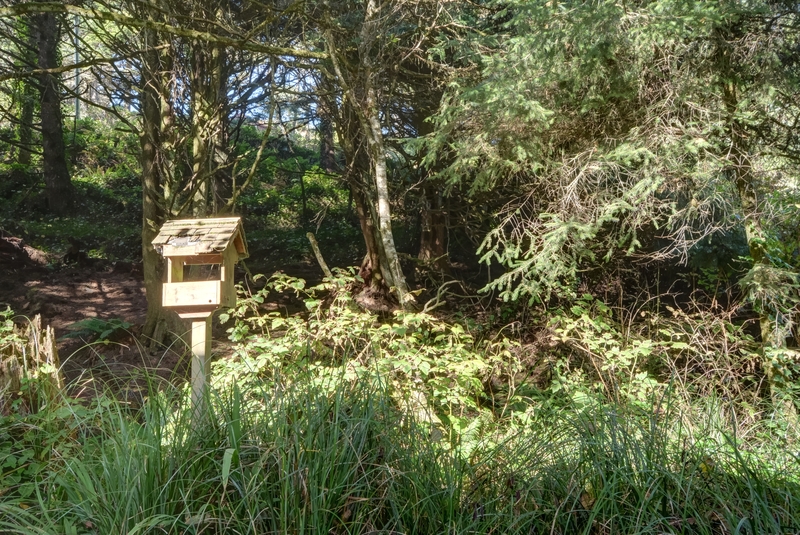 We hope you were able to hike the Drift Creek Falls hike during your stay as it is a beautiful hike! We hope to see you back again soon on the Oregon coast. Thank you again for your review!" 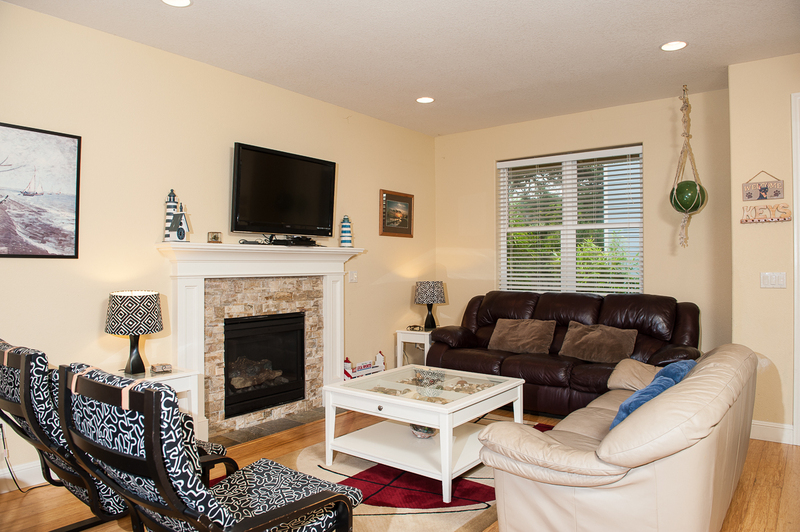 "The house has great space and is close to the beach. Its about 3 blocks. It had plenty of towels and dishes to accommodate a large group. There is no yard and the house is hidden behind a large property so its hard to find the first time. The biggest issue is that a lot of things are broken or worn out. The brown couch has a hole that is taped. The master shower has a bar that falls off. The rugs are really stained and the futon just fell apart when it was sat on by one person. The tv in the loft area does not work nor does the phone. They need to update and maintain the property. I would still stay again because it was convenient. " "Hello Theresa, Thank you for your review. We are glad to see you had an overall enjoyable time at Sea Quest, but we are sorry to see that you did run into some problems during your stay. We have reported this to maintenance and hope to have these issues resolved as soon as possible Thank you for bringing them to our attention. 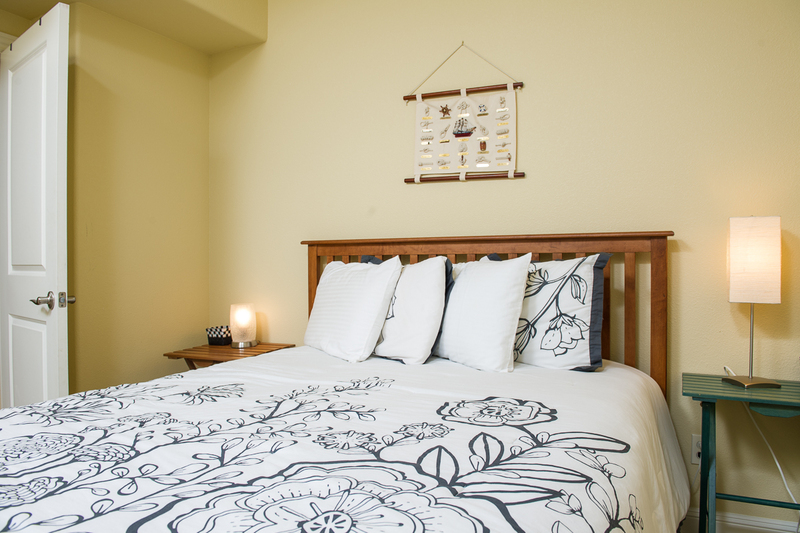 We hope to have you stay with us again soon on the Oregon coast for another getaway. Thank you again for your review." 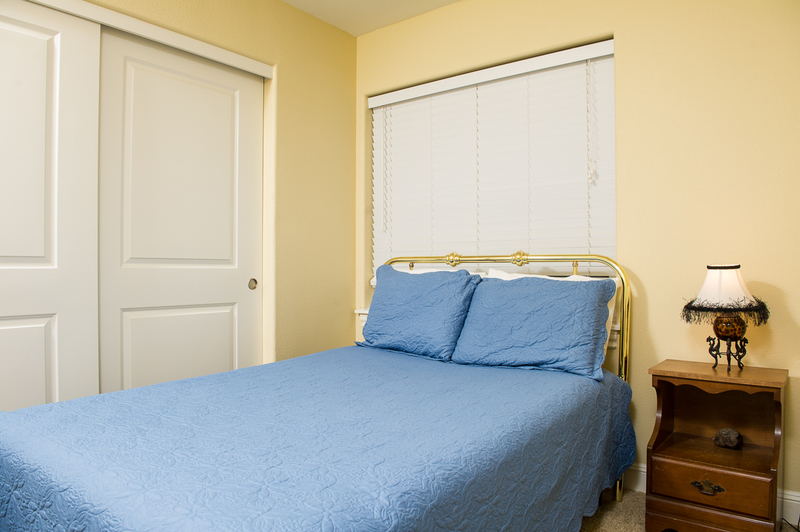 "We have stayed in this house several times and it is very comfortable. However, this time it felt a little worn. The carpets are VERY dirty and staimed. We love the location and the seclusion this house offers but it is in red of done maintenance! "